Cables to be neatly routed outside the wall. No wire concealment. 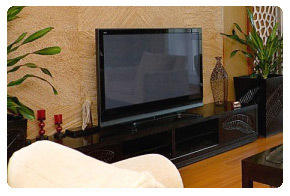 TV installation is the foundation to creating your unique home theater experience. Deciding where to install your television is the pivotal point to not only making the room more spacious but creating the décor of the entertainment space itself. It is more of an art form than just cables wires and mounts. Our technicians have a vast experience in dealing with many different types of room sizes and shapes. Having over a thousand flat panel TV installations under their belts and with an artistic flare for the most dramatic make overs, they can transform any room that you have into a den of cinematic pleasure. Once your installation is complete our technicians will make controlling your devices as simple as the push of a button and leave you looking like a pro. We offer a variation of mounts and configurations depending on the style of installation you require, whether it’s wall, ceiling, table- top, or motorized installation to name a few. 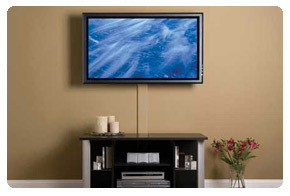 Depending on your location we have several options if you are looking for a wall-mounted TV. There are low-profile, flat, tilting, or full-motion swivel brackets to choose from. If you hate wires our technicians can conceal them either snaking them through the wall or using paintable wire moldings. If you like to have access to your wires then our technicians can leave your cables loose and reachable. When our technicians complete your installation they will clear up the work area and give clear instructions on how to operate your system. 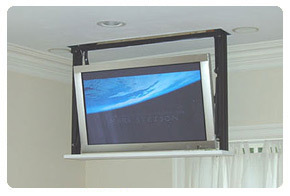 Motorized bracket solutions that we offer allow your TV to be hidden from view when not in use by rising in and out of a cabinet or swinging out from under the bed, the ceiling or the floor if you prefer. 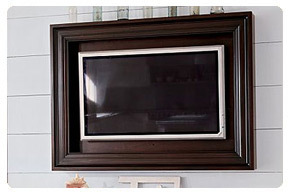 You can even use a piece of art work to conceal the TV if you want. 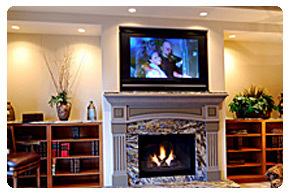 We specialize all of our installation in the greater NY and NJ areas for both home automation and home theater installation. If you require ceiling installation then our technicians will need to survey the area prior to creating your TV installation package. The survey will require an appointment, which is a free service we provide. Please contact us at (646) 200-5959 for an appointment. Our knowledgeable sales staff will be happy to answer your questions and provide explanations for all of our options. In addition to installing your TV we also offer space-saving solutions for your cable box, Blu-Ray disc or DVD player and other source equipment. We can enclose your source equipment inside of a cabinet or place them in different room in order to leave more space in the entertainment area. Another service that we provide is merging all of your devices onto one remote with the use of a Universal remote. We carry a range of remotes that will simplify your home theater systems and allow you to enjoy your system all the more. 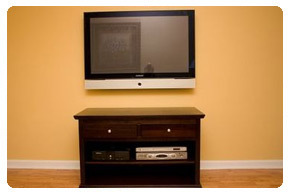 The home theater installation can be simple or fully automated. It all depends on your style. 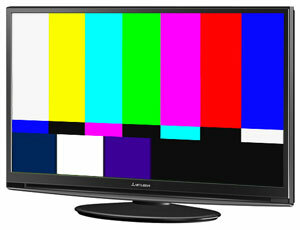 Ideally TV installation NY wants your experience to be one of visual bliss. When we finish everything we want you to be blown away by our innovation and elegant design expertise.